Will you join me in welcoming fantasy author Justin Enos to The Writing Greyhound? Here to chat about his writing, his inspiration, and his novel From Wrath to Ruin, Justin has plenty to share with you all! Firstly, please could you introduce yourself? Sure, I’m Justin Enos, a self-published fantasy author from the United States. Currently working as a retail manager though I hope to eventually be a full-time writer. How did you first become interested in writing? I guess it was in middle school that I first started to write. I was always a fairly creative kid, I drew constantly, and writing became another avenue to explore my very active imagination. Throughout the rest of my school years, I had plenty of opportunities to put my creative writing skills to work. I have always enjoyed writing, though it wasn’t until a few years ago that I actually gave serious thought to writing for a living. Tell me about From Wrath to Ruin. 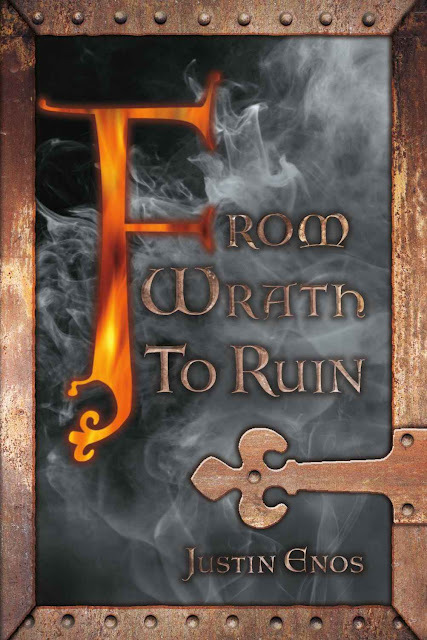 From Wrath To Ruin is an adventure story that feels more medieval than fantastical. The main character, Tijodrin, is a mercenary who is in exile from his homeland, for reasons that he is not wont to explain. In this story, he arrives in the capitol city of Hohvenlor where he is hired as a bodyguard for a powerful merchant who is feuding with a rival. Tijodrin finds himself caught between these two houses, his loyalty, his morality, tested. He is no epic hero saving the world, just a man trying to do what he thinks is right while at the same time seeking solace, seeking escape, from the sorrow and the loneliness which his exile has caused him. What drew you to writing in the fantasy genre? It's the genre I most commonly read growing up and it was the fantasy worlds that most captivated me. When I began to write in earnest, creating my own fictional worlds was the obvious choice. Did you have to do a lot of research for the book? Not exactly. 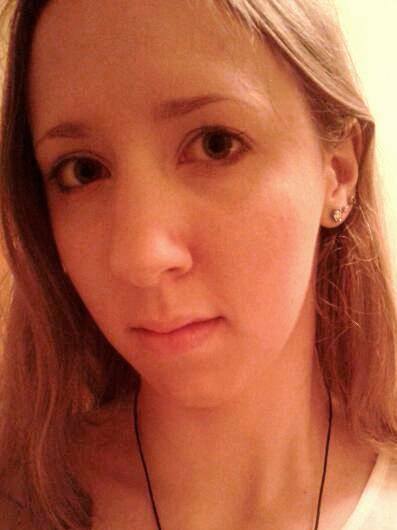 The medieval time period has long been my favourite, so I have read and studied that era quite a bit. Though I guess for most people, pouring over maps of medieval towns and castles, or choosing to read books about daily life in medieval villages, for example, would seem like research. For me though, I did it because I enjoyed it. Gaining knowledge and insight that would eventually help me in my writing was just a bonus! How did you get inspiration? It comes from so many different directions and usually over a fairly extended period of time. It may be some random thing I see, hear or read on a given day that sparks an idea for a specific character or a particular storyline or event within a story. Just sitting at my desk or whatever and trying to brainstorm ideas works as well, but not as effectively. Sometimes these ideas fit into the story I am currently working on, but just as often they are tucked away for future stories. Haha! I don’t think you could exactly call what I do a process. I rarely write any outlines, and if I do they are very vague. I will read through my chaotic notes before and while I write for reference, but generally, I will just let my thoughts flow (or not) as I write. Sometimes this results in the details of certain characters or the plotline as a whole diverging, drastically on occasion, from my original ideas. I think it’s fun when this happens! As a fantasy writer, Tolkien must take my top spot. Others include Neil Gaiman, Bernard Cornwell, George R. R. Martin and Anne Rice. The second book in my stand-alone series featuring Tijodrin titled Under A Shadow Of Sorcery. Two books actually, Persian Fire by Tom Holland and The Good Thief by Hannah Tinti. What’s your all-time favourite fiction book? I have never been able to pick an all-time absolute favourite anything, so here are a few books not written by the authors I listed above that I would consider great. Gates Of Fire by Steven Pressfield, Land Of Laughs by Jonathan Carroll, The Life Of Pi by Yann Martel, Rise To Rebellion by Jeff Shaara, Pride Of Carthage by David Anthony Durham, House Of Leaves by Mark Z. Danielewski. What’s your all-time favourite non-fiction book? Likewise...Guns Germs And Steel by Jared Diamond, Band Of Giants by Jack Kelly, Genghis Khan And The Making Of The Modern World by Jack Weathorford, Over The Edge Of The World by Laurence Bergreen. I would love at some point to have no other job besides being a writer. However, successful or not in my writing career, I will continue to write because it is something I very much enjoy doing. What are your interests outside of writing and reading? I love to travel and love the outdoors. Whether warm or cold, sunny or snowy, I hike quite a bit. Skiing is also a favourite activity of mine - been making tracks since age five! From Wrath to Ruin is available to buy now. For more about Justin, you can check out his website. Will you be reading the book? Are you a fantasy fiction fan? Let me know in the comments below!